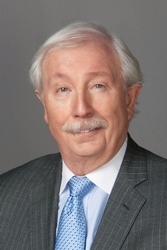 Francis J. Sullivan is the Founding Partner of Hill Wallack LLP’s Yardley, Pa., office and is a member of the firm's Management Committee. He is partner-in-charge of the Business & Commercial and Trusts & Estates practice groups. Mr. Sullivan represents corporate entities and partnerships in a wide variety of business transactions and related litigation. Clients count on Mr. Sullivan to advise them on issues that arise during the entire life cycles of their businesses, from start-up and acquisition, to disposition and estate planning. Mr. Sullivan’s clients include family owned businesses and partnerships, as well as businesses in a number of industry sectors, such as financial services organizations and mortgage companies, automobile dealerships, construction and related trades, home heating fuel oil entities, professional firms (medical, legal and accounting), and publishing. He also represents individuals in commercial matters. Mr. Sullivan is admitted to practice in the State Court of Pennsylvania. He earned his Law Degree and Master of Laws in Taxation, from Villanova University School of Law. Mr. Sullivan earned a Certificate in Estate Planning from the Graduate Tax Division of Temple University School of Law and obtained his B.A. from La Salle University. He remains very active in the legal profession, as well as in charitable and civic activities. In addition, he is actively involved in alumni affairs of La Salle University and is a former member of the La Salle University Alumni Board of Directors.